Mr. Alfred Godwin Adjabeng is the founder and Executive Director of Reach Out to Future Leaders Movement, ROFLM, a youth-led community-development base organization that focuses on Food security, Education and Environmental sustainability. He serves as the coordinator of ROFLM’s flagship project, School Farms Program. He is a Freelancer at TRUEAfrica. TRUE Africa is a new media-tech platform with all of the next thinking on culture, music, sports, lifestyle, politics, fashion and tech in Africa and the diaspora. We want to discover and champion young African voices all over the world. Alfred consults for Development Challenge, a Public Policy Research Think Thank in Accra, Ghana and also for School of Life International, a non governmental organisation that focuses on developing practical solutions to all forms of family abuses and helping to create more resilient families. 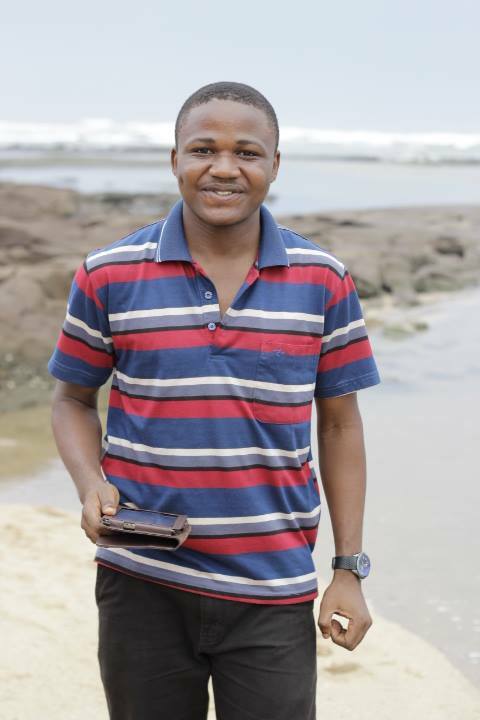 Alfred is a University of Cape Coast trained Environmental Scientist and University of California-Berkeley trained Public Policy Analyst on the Mandela Washington Fellowship. My dear am proud of you. God will never let your efforts be in vain.